Europe’s most powerful leader is a refugee from a time and place where her power would have been unimaginable. The German Democratic Republic, where Angela Merkel grew up, was neither democratic nor a republic; it was an Orwellian horror show, where the Iron Curtain found literal expression in the form of the Berlin Wall. 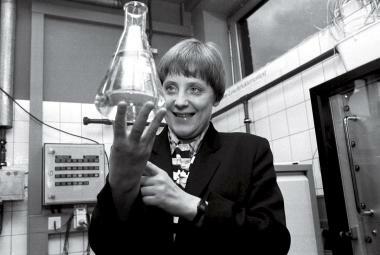 The shy daughter of a Lutheran minister, Merkel slipped into politics as a divorced Protestant in a largely Catholic party, a woman in a frat house, an Ossi in the newly unified Germany of the 1990s where easterners were still aliens. No other major Western leader grew up in a stockade, which gave Merkel a rare perspective on the lure of freedom and the risks people will take to taste it. Her political style was not to have one; no flair, no flourishes, no charisma, just a survivor’s sharp sense of power and a scientist’s devotion to data. Even after Merkel became Germany’s Chancellor in 2005, and then commanded the world’s fourth largest economy, she remained resolutely dull—the better to be underestimated time and again. German pundits called her Merkelvellian when she outsmarted, isolated or just outlasted anyone who might mount a challenge to her. Ever cautious, she proudly practiced what Willy Brandt once called Die Politik der kleinen Schritte (the politics of baby steps), or as we call it in the U.S., leading from behind. Then came 2015. Not once or twice but three times this year there has been reason to wonder whether Europe could continue to exist, not culturally or geographically but as a historic experiment in ambitious statecraft. Merkel had already emerged as the indispensable player in managing Europe’s serial debt crises; she also led the West’s response to Vladimir Putin’s creeping theft of Ukraine. But now the prospect of Greek bankruptcy threatened the very existence of the euro zone. 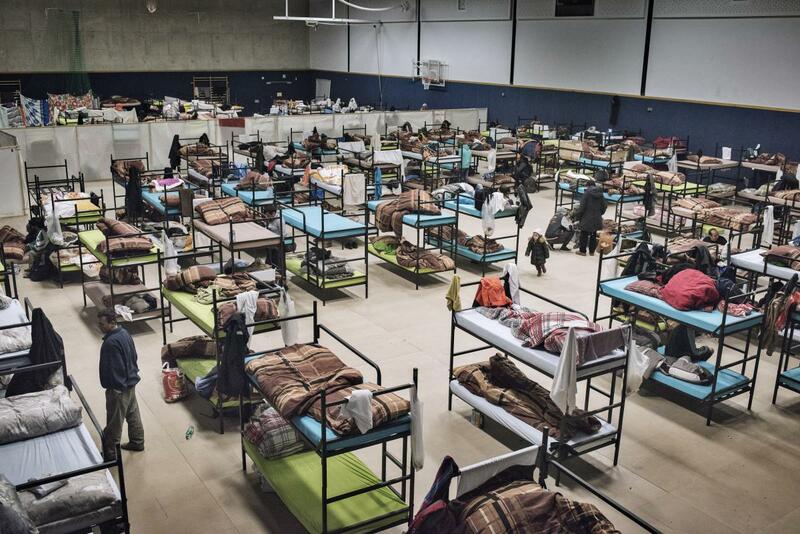 The migrant and refugee crisis challenged the principle of open borders. And finally, the carnage in Paris revived the reflex to slam doors, build walls and trust no one. At a moment when much of the world is once more engaged in a furious debate about the balance between safety and freedom, the Chancellor is asking a great deal of the German people, and by their example, the rest of us as well. To be welcoming. To be unafraid. To believe that great civilizations build bridges, not walls, and that wars are won both on and off the battlefield. By viewing the refugees as victims to be rescued rather than invaders to be repelled, the woman raised behind the Iron Curtain gambled on freedom. The pastor’s daughter wielded mercy like a weapon. You can agree with her or not, but she is not taking the easy road. Leaders are tested only when people don’t want to follow. For asking more of her country than most politicians would dare, for standing firm against tyranny as well as expedience and for providing steadfast moral leadership in a world where it is in short supply, Angela Merkel is TIME’s Person of the Year. 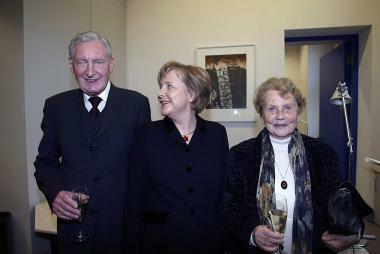 Angela Merkel on the eve of her election in 2005 with parents Herlind Kasner, Angela Merkel’s mother, from Hamburg. She was a Latin and English teacher. And her father, Horst Kasner, was originally from Berlin. He was a pastor in the Protestant Church in Germany. 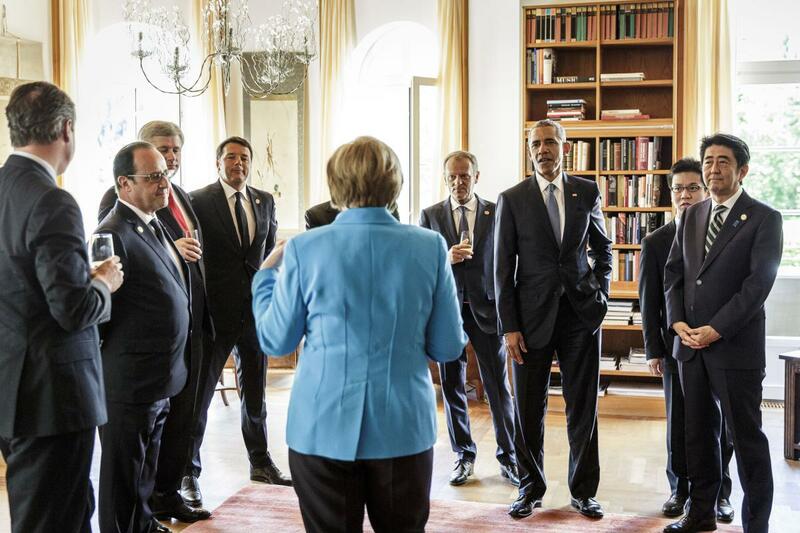 Woman of the World Merkel discusses Syria, the E.U. 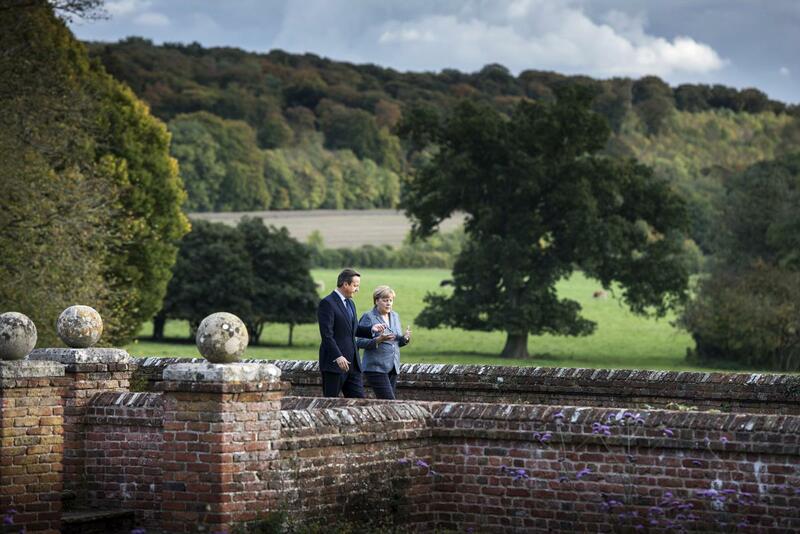 and counterterrorism with David Cameron at his country retreat on Oct. 9, 2015.